No Sift next week. The next articles will be posted on July 1. I too became a dissident. And that misses the point. If you’re talking about Snowden — whether he’s a hero or a traitor, why he did it, what should happen to him, etc. — then you’re not talking about the NSA, what it’s doing, and what should be done to corral it. So no matter how many bright shiny objects the establishment press tries to distract you with — look! his girl friend is a pole dancer! — keep your eye on the ball. The issue that matters is the NSA, not Snowden. I flesh those ideas out, and cover what else we learned about the NSA this week, in Edward Snowden Is Not the Issue. You know who does do a good job of laying out the issues? Juice Rap News. The Obama administration has become convinced that the Assad regime has used chemical weapons against the rebels. And governments can’t be allowed to do that, so we have to do something. But that doesn’t mean we know what to do, or how not to get sucked into another long war with nothing to win. The British newspaper The Independent reports that Iran is sending 4,000 members of its Revolutionary Guard to help Assad. It frames Obama’s move to arm the rebels as the U.S. taking sides in the region-wide sectarian struggle between Sunni and Shia. Foreign Policy explains why the Pentagon has been dragging its feet on intervention. With some notable exceptions, top brass believe arming Syrian rebels, creating a no-fly zone and intervening in other ways militarily, amounts to a risky approach with enormous costs that won’t likely give the Syrian opposition the lift it needs. And at that point do we say, “Oh well, at least we tried.”? Or do we have to go in deeper to justify what we’ve done already? Turkish protestors make Les Miserables their own. I wish that didn’t fill me with foreboding. I can’t say I really understand what the Turkish protests are about, but this article helps. Maybe my cynicism level has gotten too high. I was sure that a few of the corporatist justices on the Supreme Court would figure out a way to justify granting patents on naturally-occurring human DNA; I wouldn’t have been totally shocked if that view had won a 5-4 majority. Eventually, I figured, some mega-corp will patent lungs and charge the rest of us royalties for breathing. It’s easy to be an optimist if you think the right people are in power and have things more-or-less in hand. But Gar Alperovitz’s What Then Must We Do? and David Graeber’s The Democracy Project are upbeat books by people who think our current system is falling apart. I try out some simple anonymizing tools in Herd Immunity Against Online Spying. 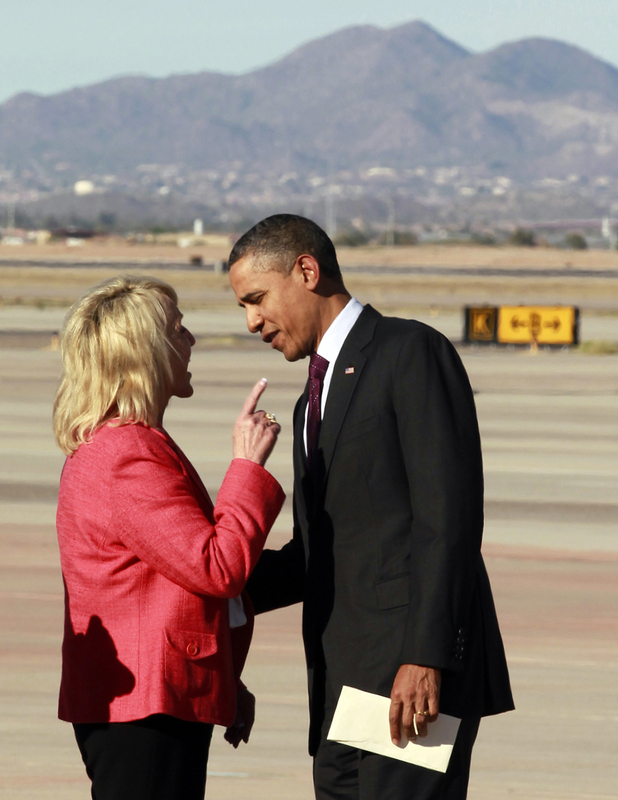 In one of the year’s most fascinating political surprises, Arizona Governor Jan Brewer (famous for the anti-immigrant “papers please” law S. B. 1070) succeeded in pushing Obamacare’s Medicaid expansion through the legislature. Brewer had begun carrying out her threat to veto every bill until Medicaid expansion passed. 300,000 Arizonans will now get health insurance. The Medicaid expansion is important because it rationalizes healthcare for the working poor. Currently, many of them wait until health problems get out of hand, then go to the emergency room, generating huge bills they can’t pay. Some of those costs are absorbed by the hospitals (who make it up by overcharging the rest of us), and some costs eventually are borne by cities and states. Since the cost of Medicaid expansion is largely borne by the federal government, Arizona saves money by agreeing to it. Nate Silver says the odds of a second Massachusetts Senate upset are slim. Parody news sites are getting harder to spot. They’re more subtle than they used to be, and the level of craziness in real news keeps going up. So newslo.com fools quite a few people with stories like Texas Board of Education Revises Textbooks: Slaves were “Unpaid Interns”. Every news-satire site should adopt Newslo’s help feature: the Show Facts button at the bottom of each story. Clicking it highlights the parts of the story that are true. If you are not around people who will look at you like you are crazy when you make stupid claims about other people’s experiences, then you tend to keep saying stupid things about other people’s experiences. Diversity in positions of power isn’t just a kumbaya thing or a way to buy off politically important minorities. If you’re about to embarrass yourself, your party, or your country by saying something stupid about (or doing something stupid to) people you don’t understand, a diverse leadership group has ways of shutting that whole thing down. Ah, the perverse state government of Scott Walker’s Wisconsin. While the legislature has been in the process of passing one of those war-on-women forced-ultrasound laws, the amount of dissent tolerated in the galleries has been shrinking. Thursday they hit a new low: Women who protested by putting duct tape over their mouths were removed from the gallery. Somebody want to explain to me again how conservatism is all about freedom? Seriously, though, I’ve been following the Weekly Sift for a while now, and I really appreciate the way you boil down some of the tough items in the news any given week. That bit about having other viewpoints around so you can learn how not to show your rear end in public when you don’t mean to is important, even if it is only used to keep ones’ public image clean. Having BS become unpopular to say is one of the steps to having said BS happen a whole lot less. I think I found this place via Making Light, not sure. If you have not visited there, I’d recommend it. Lots of good conversation going on there.